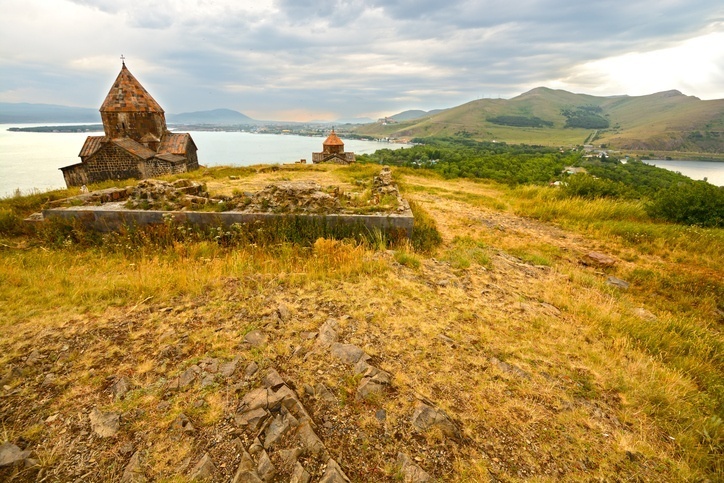 A land of mountains and monasteries, Armenia will surprise and entertain you with a fun loving capital, ancient history, and much more hiding just beneath the surface! Armenia is located in the South Caucasus, which straddle Europe and Asia. It borders Turkey to the west, Georgia to the north, the disputed independent Nagorno-Karabakh and Azerbaijan to the east, and the Azerbaijani exclave Nakhchivan and Iran to the south. The best time to go is during the spring months (March to June), however summer is still a great season to visit Armenia. 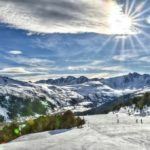 Winter can be cold (duh) but is still good if you want to ski or snowboard. What the heck…feel free to visit during the fall as well. Getting around Armenia can be a struggle at times, though the transportation system is improving. Buses are great for shorter trips around major population centres, though remote destinations can be tough to get to. If you’re up to it, renting your own car is an option, and day tours are great for some of the most well known sights. Armenian is the official language though most of the population speaks Russian as well. You would do well to brush up on some phrases of either. In Yerevan you’ll find some English speakers though outside the capital this is pretty rare. Yerevan has all the hallmarks of a European capital, with trendy bars and restaurants just the tip of the iceberg when it comes to this surprisingly fun city. While the summer months see people pack the streets, the winter retreats (including traditional taverns) are just as fun to visit. The one thing Yerevan lacks is historical architecture, with most of the buildings constructed in the less than picturesque Soviet era. But don’t let this deter you from a visit to what is one of the most exciting cities in the region. 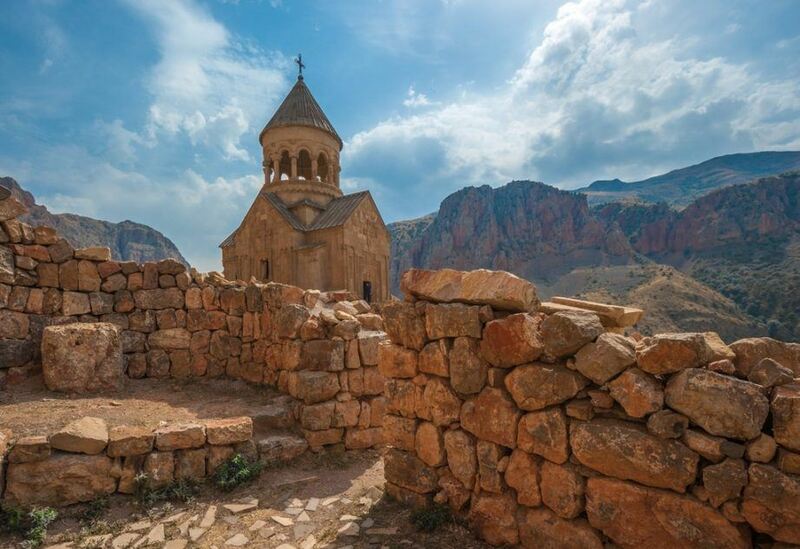 Arguably the highlight of Armenia is the mountainous landscape and the ancient monasteries found within. A great starting point is Tatev. Try out one of the many short hikes in the region and you’ll be greeted with a plateau top view of the surrounding river valley. The Tatev monastery itself dates back to the 8th century, and its impressive fortifications and structure precariously cling to the edge of the cliff – making for a great photo op if you can get close. Translated as ‘new monastery’, we can safely say that name made more sense initially for this over 800 year old religious structure. 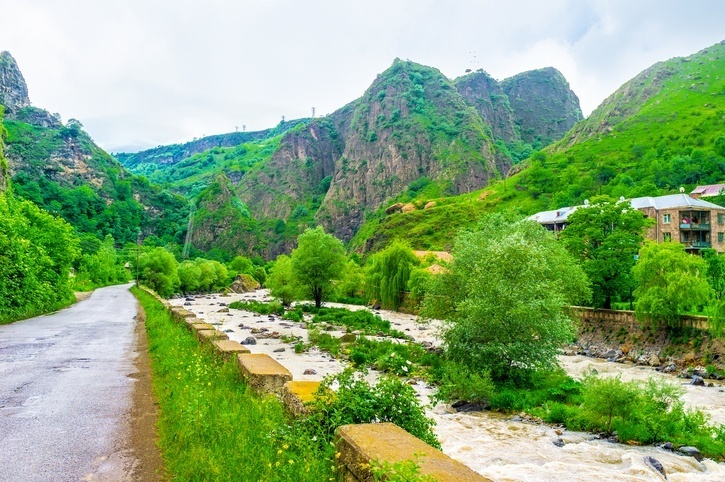 Located in a barren gorge, Noravank is a different type of site than Tatev – but along with that is perhaps the best of the country’s many monasteries. The whole area is very pleasant during summertime, with many places to have a picnic and ample tourism services. Best of all, it’s an easy day trip from Yerevan. One of the most conventionally beautiful parts of Armenia (and that is saying something), the area around Dilijan is a classic alpine environment with snow capped peaks, rich forests, and quaint villages. The whole area is a national park (arguably the country’s best) while the eponymous spa town is a great resort for those who just want to relax. As with most such regions, activities such as hiking and mountain biking are available in spades – so the adventurous amongst you will certainly get a kick out of Dilijan. The largest lake in the region, Lake Sevan is at first noteworthy for its spectacular high altitude location. Once you get past that you’ll notice the blue waters dazzling with changing hues and a healthy fish population. Finally, the shores of the lake feature some quaint monasteries and picturesque roads. There are resorts here as well, though they are admittedly not the best quality. Still, simply relaxing along the shores of Sevan, away from all the crowds, is one of the can’t-miss parts of a visit to Armenia. We’ve made a big fuss about Armenia’s eventful history and vibrant culture, so if you’re looking to experience that first hand Debed Canyon is the place to be. 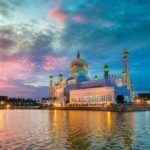 The banks of the eponymous river feature churches, forts, ancient art, World Heritage Sites, charming villages and B&B’s, and the list goes on. The road through here can see quite a few people, but (especially if you have a car of your own) it’s worth having a go of it yourself as well! Most round trip flights between Toronto and Yerevan start around the $1300 Canadian mark. Definitely do some shopping around for deals as you can likely save some money (you also have the option of flying in from other European countries). While parts of Armenia can be a bit more expensive (such as the capital, Yerevan), the country is overall very cheap to visit. Average prices should work out to around $25 Canadian a day with a budget of $11 each for accommodation and food. Looking to save even more money? You could potentially get by with just $11 a day. The higher end of travel however will set you back around $52 a day. While there is no nationwide advisory in Armenia, a high degree of caution is recommended throughout largely due to demonstrations and protests. In addition, the disputed region of Nagorno-Karabakh (as well as nearby areas) should be avoided for all non-essential travel. You should also remain alert around all border regions as well. Crime can be an issue in some areas, so use caution and don’t carry valuables around. Roads can be in pretty poor condition, so be very careful if driving. Public transport can also be a mixed bag when it comes to safety. 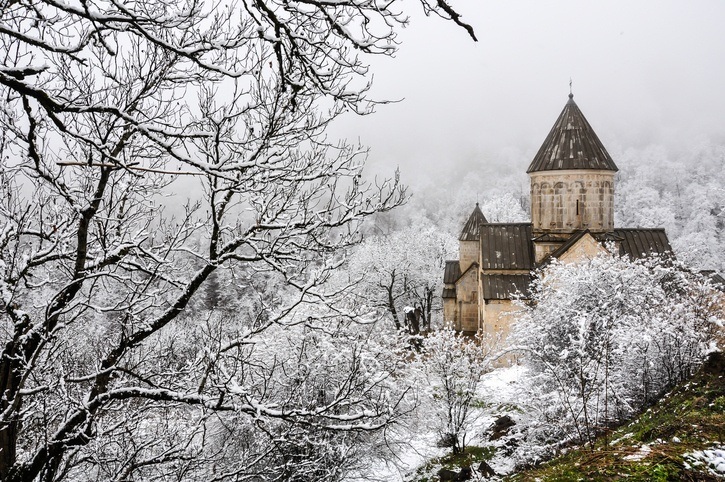 For more on travel safety, check out the Canadian Travel Advisory for Armenia. 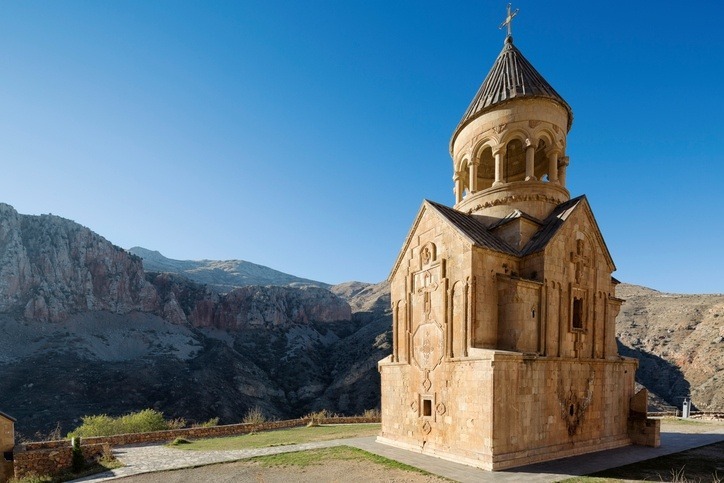 You can learn more about Armenian history and culture in the Country Profile as well as its currency with our Spotlight.